My apologies for making this an image, the software I used didn't have a useful HTML export function. Maybe in the coming days. This is our 2016 budget in approximate priority order. The big things on the agenda for the coming year are improvements to the infrastructure to support use of the Green Bank Telescope and developing the infrastruction to support use of the Parkes telescope. 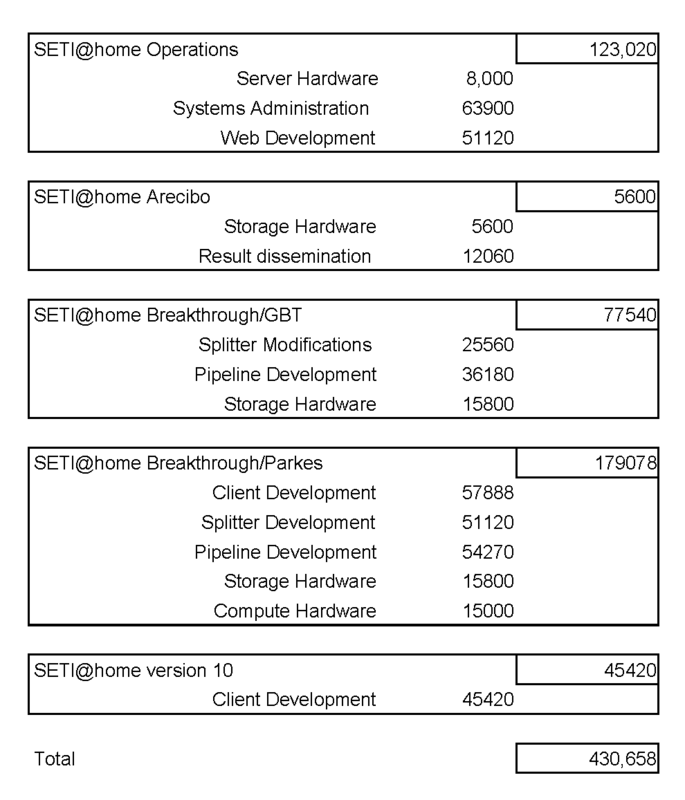 We'd also like to get started on SETI@home version 10, which will support interferometric multi-beam telescopes and new types in interference removal in the SETI@home application.